Maria Hahnenkamp, Special Edition, 1995/2019. 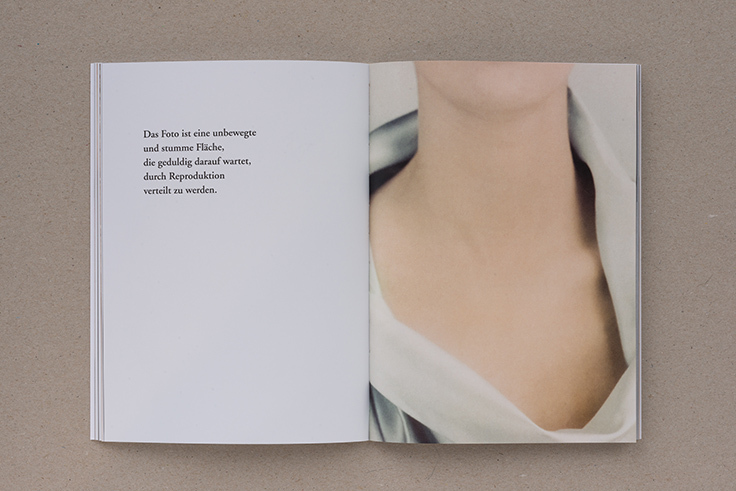 A special edition contains the signed artist’s book Maria Hahnenkamp. What Does Photography Mean Here? 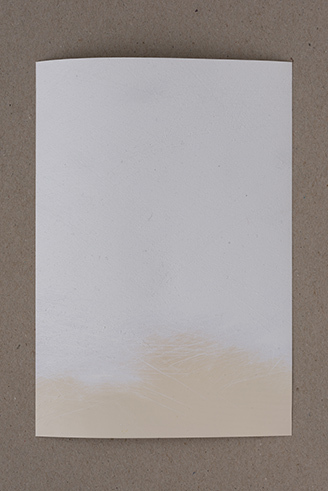 and a sanded C-print, 18 × 12.5 cm, in parchment paper. The interpretational approach prevailing in many of these works draws on the psychoanalytical concept of Jacques Lacan, for whom the aspect of desire (désir) is tied to absence and moments of lack (manque).¹ For Lacan, desire “is neither the appetite for satisfaction, nor the demand for love, but the difference that results from the subtraction of the first from the second,”² whereby it seems impossible to sate desire since it keeps reproducing itself. 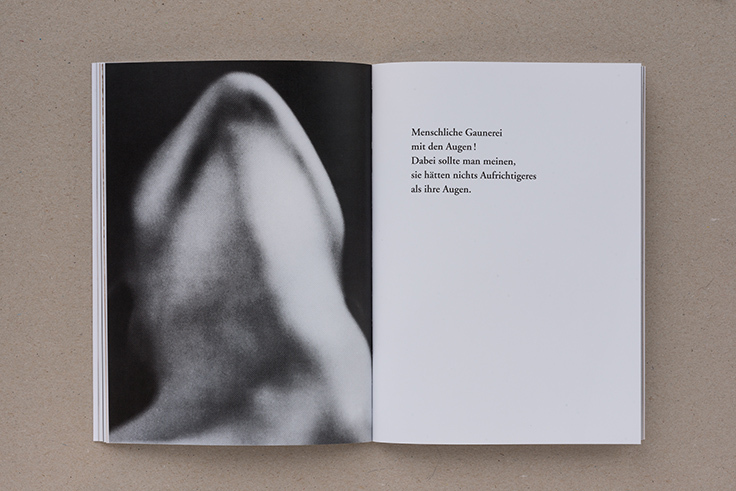 This causality chain of desire is demonstrated by Hahnenkamp in her dramaturgy of the represented and in a seriality of the fractured that has been defining photographic discourse since its very beginnings. The works thematize those moments of absence that have denied the presence of women for centuries, instead reducing them to the desire of the (male) body. The object nature of this view started being revised with the feminist demands of the 1960s at the latest, claiming woman as an autonomous subject. 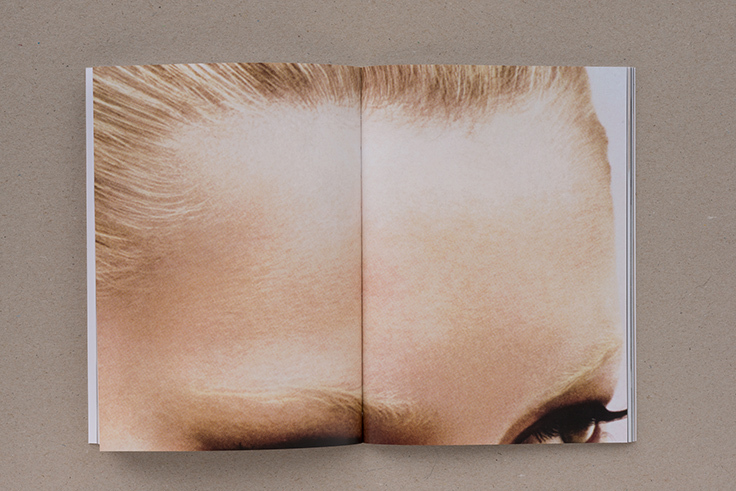 Hahnenkamp takes up such moments of desire for femininity in its current media-related state and subjects it to a photographic analysis by “keeping the imaginary transformation process going, as it were, between subject and gaze, subject and image, between representation and constitution.”³ She tries this out on different levels, removing from the viewer’s field of vision not only the picture of the woman but also the photograph exposed for this purpose. The latter is evident, or the artist engages in this denial, in the four-part work “O. T.” (Untitled, 1999), which is based on photographs, shot by the artist, of women in stereotypical body-care situations. 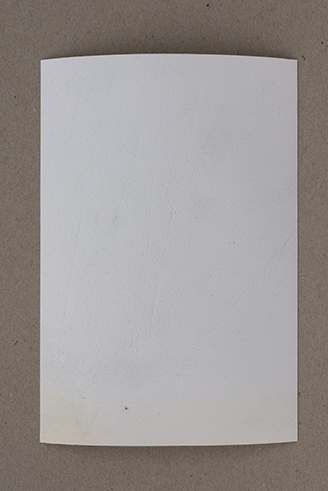 However, Hahnenkamp erased the image content by sanding down the surface of the photographs, allowing a white, undefined gap to emerge at the image center, with only the edges still indicating what was once a photographic surface. 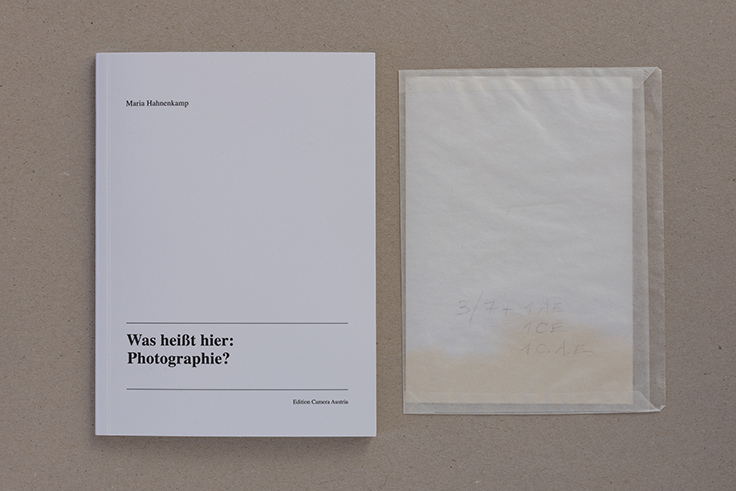 For the special edition of her artist’s book What Does Photography Mean Here?, Maria Hahnenkamp enclosed a photographic fragment from her group of works “Abgeschmirgelte und zusammengenähte Fotoarbeiten” (Sanded and Stitched Together Photographic Works, 1991–2000). 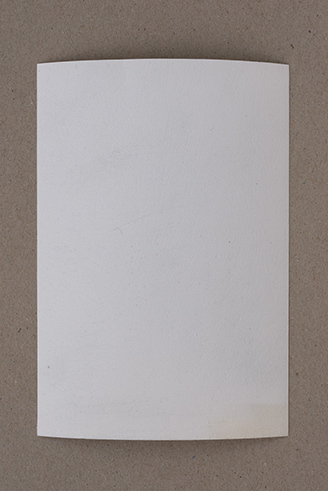 This original (a sanded photograph, 1995/2019, edition 4 + 3 AE) adds a tactile facet to the publication. ¹ See Jacques Lacan, Écrits: A selection, trans. Alan Sheridan (Abingdon: Routledge, 2001). ² Dylan Evans, An Introductory Dictionary of Lacanian Psychoanalysis (London and New York: Routledge, 1996), p. 38 (E, 287). ³ Translated from Silvia Eiblmayr, “Zur Dialektik der methodischen Wahrnehmung bei Maria Hahnenkamp,” in Maria Hahnenkamp (Salzburg: Fotohof edition, 1996), p. 12. 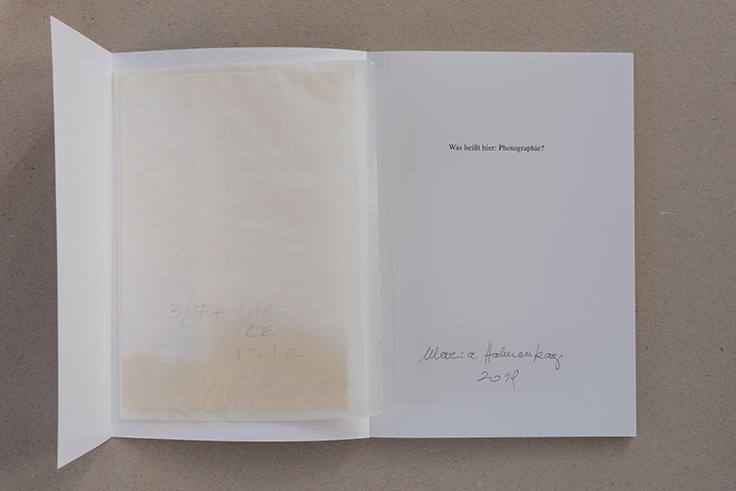 Maria Hahnenkamp, Was heißt hier: Photographie?, 2019; Maria Hahnenkamp, Ohne Titel 1995/2019, from: Abgeschmirgelte und zusammengenähte Fotoarbeiten, 1991 – 2000. 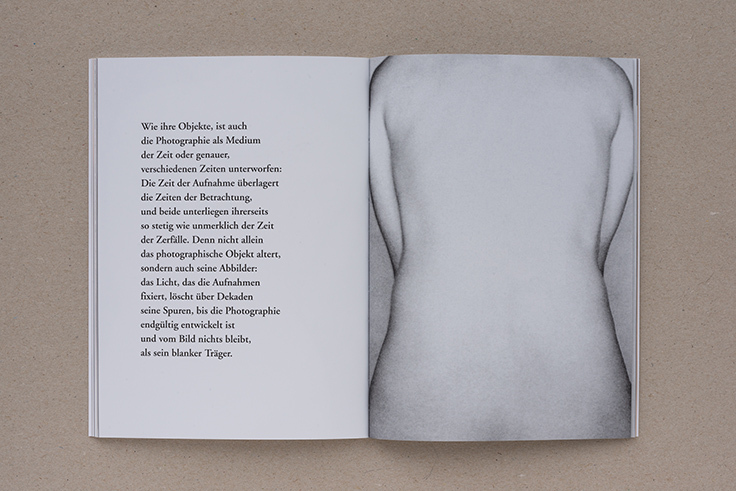 Maria Hahnenkamp, Ohne Titel 1995/2019, from: Abgeschmirgelte und zusammengenähte Fotoarbeiten, 1991 – 2000. 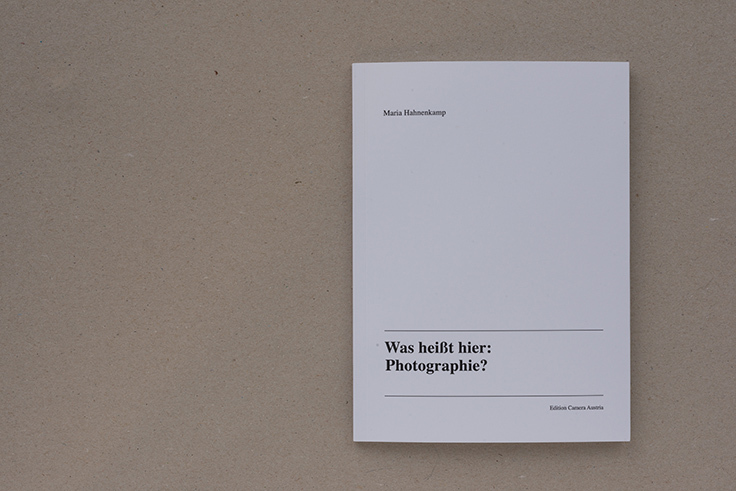 Cover: Was heißt hier: Photographie?, 2019. 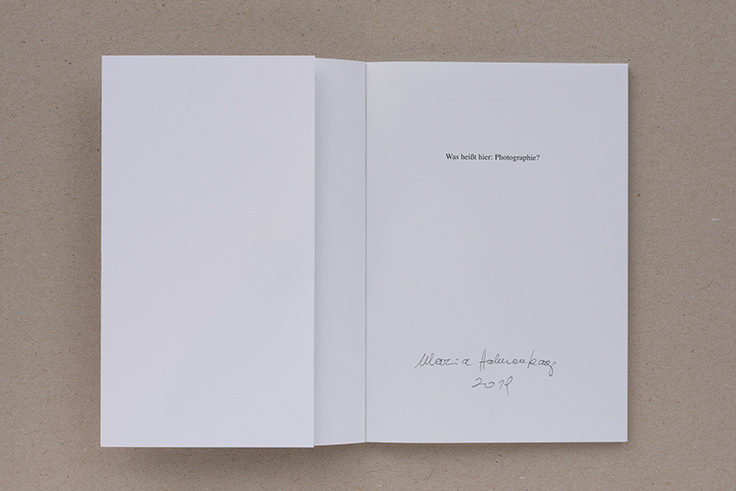 Doppelseite / spread: Maria Hahnenkamp, Was heißt hier: Photographie?, 2019, o. S. / n. p.